Enjoy quality music in an intimate setting. All proceeds go to the musicians. Please note: "Noble House Concerts" is simply the name we choose to describe our private parties, in our private home. These parties are NOT a business nor are they a business related activity. They are strictly a hobby for us, and are simply gatherings of our friends and guests to enjoy live acoustic music, fellowship, food (a potluck dessert buffet) and fun. Our concert parties are officially free (or else it might be considered a business), although voluntary contributions (suggested donation of $15 per person) are accepted at the party on behalf of the artists. 100% of all contributions go directly to the performers. By invitation only. Larry Wilder is returning to Noble House with a few of his Songmaker friends for a full concert. Larry is a national award winning yodeler, banjo player and guitarist. He specializes in Americana music with lots of audience participation. Joining him will be Bruce and Renata, also known as the duo Gemini. Bruce is a champion guitarist and Renata is an incredible song writer. 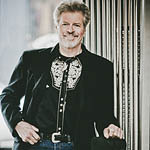 Also appearing will be Rick La Sheve who just released his first CD. A portion of the proceeds will be donated to the music program at The Help Group School, a school for children with autism. Other friends may be added to the concert. Seats are normally $15 but they will accept any donotion. Steve and Cindy are making their winter tour of the west. 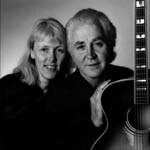 For 25 years, Steve and Cindy have brought together their love of traditional music and their wealth of original songs. Accompanying themselves with guitars and concertina, their performances are known for rich harmony, compelling songs and a good dose of humor. They have recorded over a dozen albums between them. Seats are $15. Classical series is held mainly on the 4th Saturday of each month. Upcoming shows to be announced! Contributions to the appetizer/dessert buffet appreciated.